The CPS program is guided by the Washington State Strategic Highway Safety Plan, called Target Zero, which sets a goal of zero deaths and serious injuries by 2030. Additionally, WTSC sponsored the “Click It or Ticket”-style Child Car Seat project (CIOT-style CCS), modeled after the “Click It or Ticket” seat belt initiative. In 2010 the project, which was implemented by the Target Zero Program Managers in several counties, involved law enforcement CPS training, over-time patrols, public service announcements through radio and TV ads, messages on road signs, and educational campaigns. Law enforcement training focused on techniques for identifying child restraint violations prior to conducting the thorough, special car seat-focused enforcement patrols.6 Educational activities included using elementary schools as networks to provide information on child passenger safety to students, parents, teachers, and school administrators. 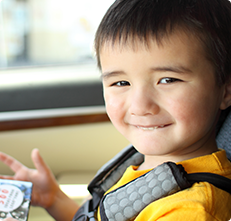 The state of Washington continues to implement a wide variety of strategies, including car-seat inspections, enforcement, and education, to promote child passenger safety and work toward their goal of 0 deaths and serious injuries by 2030. Initiatives like these work to prevent fatal injuries and to achieve the Healthy People 2020 vision, a society where people live long, healthy lives. 2Washington Traffic Safety Commission. 2014 Statewide Estimates of Child Restraint Use Among Elementary Students. August 2014. The Bonney Lake Police Department provides quality police service with trust, integrity and respect, while enforcing state and municipal laws, to provide a safe environment while encouraging active community participation.